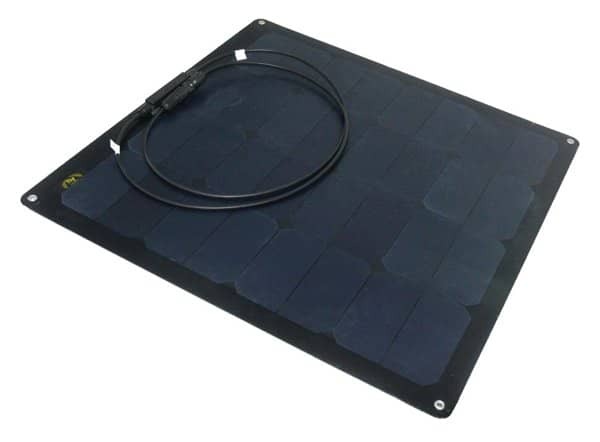 The Fly Solartech panels are the most accurate semi-flexible photovoltaic panels, produced also with Back Contact Cells with the highest quality standards. Pursuing innovation, beauty and the desires of our customers. Seven-layer technology, anti-reflective ETFE surface, designed to have high corrosion resistance and structural strength over a wide temperature range. Excellent chemical, electrical and high-energy radiation resistance properties. 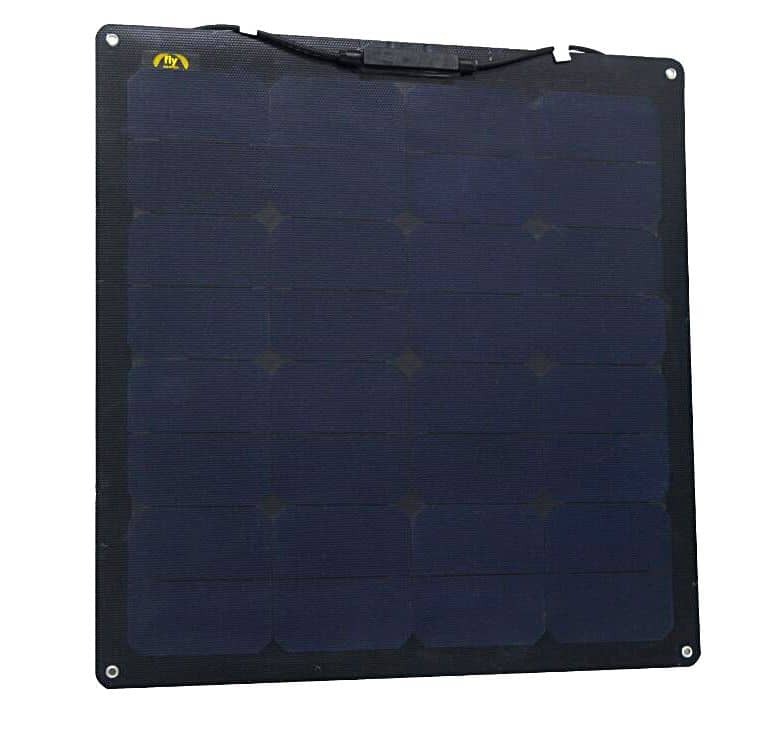 Backsheet made of black, strong and lightweight fiberglass or or white and flexible reinforced PET. 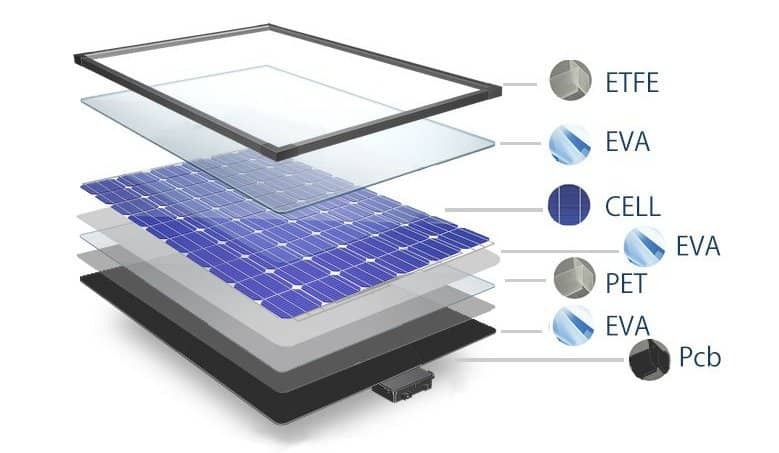 Produced with German Poly or Mono cells or A-grade Back Contact Sunpower cells only. 3 years with product replacement warranty against defects. Matte black or white surface, from 4 to 8 grommets for quick fastening in a thickness of less than 3 mm. 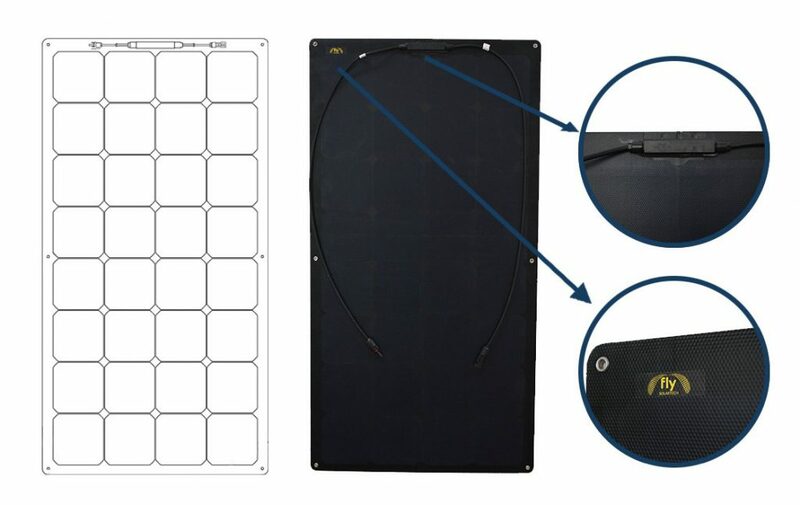 Zip fixing system, slim space-saving junction box, plus panel characteristics and dimensions tailored as an Italian suit. Our care in production to bring out your love for your boat.